Humor. It's Not All Sunshine and Roses. Mostly It's Not. © Art Teachers Hate Glitter, 2010-2016. Unauthorized use and/or duplication of this material without express and written permission from this site’s author and/or owner is strictly prohibited. Excerpts and links may be used, provided that full and clear credit is given to Art Teachers Hate Glitter with appropriate and specific direction to the original content. Paraphrasing this material without appropriate and specific direction to the original content is also prohibited, illegal and always uncool. Back to School. aka The One with All the Memes. 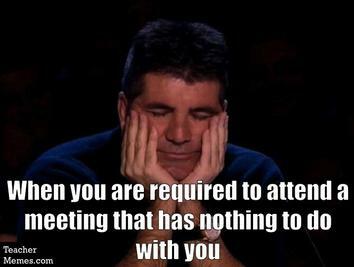 Ohhhh yeah… the pointless meetings. My school likes to start off right away, 8:15AM, Monday morning, with a breakfast meeting. Providing breakfast means it’s going to be fun, and chill, and relaxed, right? Or not. Oh, hell no. Sitting through 25 minutes of babble about something that most likely doesn’t apply to you anyways. Differentiating instruction! Choice-based learning! Portfolios! Uh-huh. Been there. Done that. Or my personal favorites, data-driven instruction! And let’s improve our AYP! Blah, blah, blah. Can we go now? 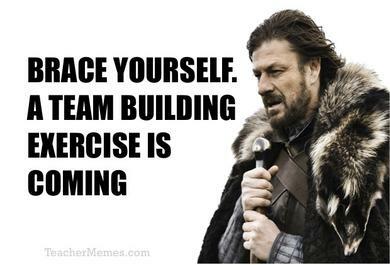 Those team building exercises are the worst, aren’t they? Or maybe you’re the type of person who really gets into them, in which case, kudos to you, I’ve got better things to do. 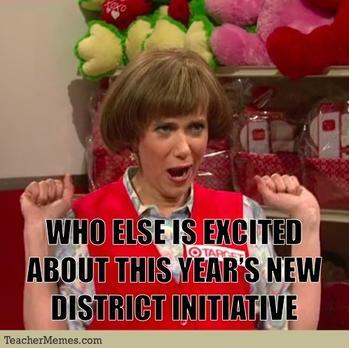 Overall though, I’m excited for the new school year. I’ve taken on an additional work day at one of my schools, so I’m excited to be working 30 hours within a 4 day work week, as opposed to the 30 hours I was working within a 3 day work week last year. With some more breathing room in my schedule, I’m really hoping to be more organized, more prepared, and more… sane. In other news, I’ve been moved from the main building to the modular. Despite my first assumptions, the modular is not just a trailer in the back field. I should probably get out of my class room and tour the school grounds more often. The modular is actually similar to a pod, set up a stones throw away from the main building. It has six real classrooms, student bathrooms, supply closets and even a janitors closet. It’s legit, guys. I’m super excited to have a classroom that is normal shaped again. You know, a parallelogram (STEAM, baby!)? There’s a sink too, so, yay! 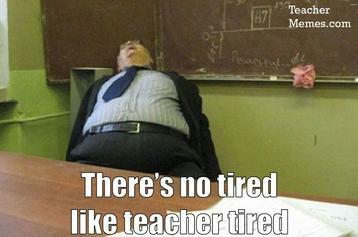 Happy New School Year, comrades. This one’s going to be a good one. ← You Don’t Call, You Don’t Write… Or Do You? You nailed it! I’m already into my third week of school, but I can totally relate to the joys of teacher in-service, especially those oh, so delightful team building exercises. Enjoy your new classroom…and the little artists when they finally arrive!